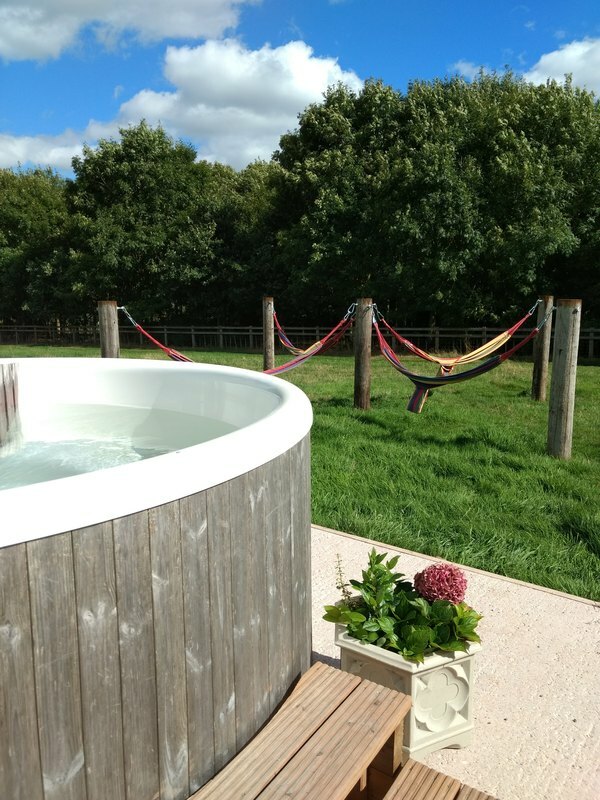 All of our accommodation has a private hot tub which can be hired as an optional extra alongside your accommodation. 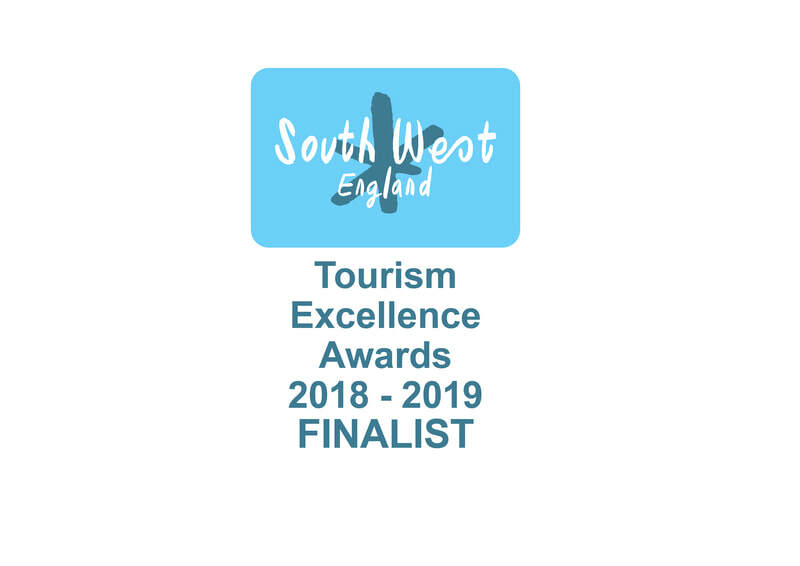 We are right on the edge of Exmoor National Park, an International Dark Sky Reserve so the hot tub is the place to be if you're wanting to watch the shooting stars with a glass of something sparkly! 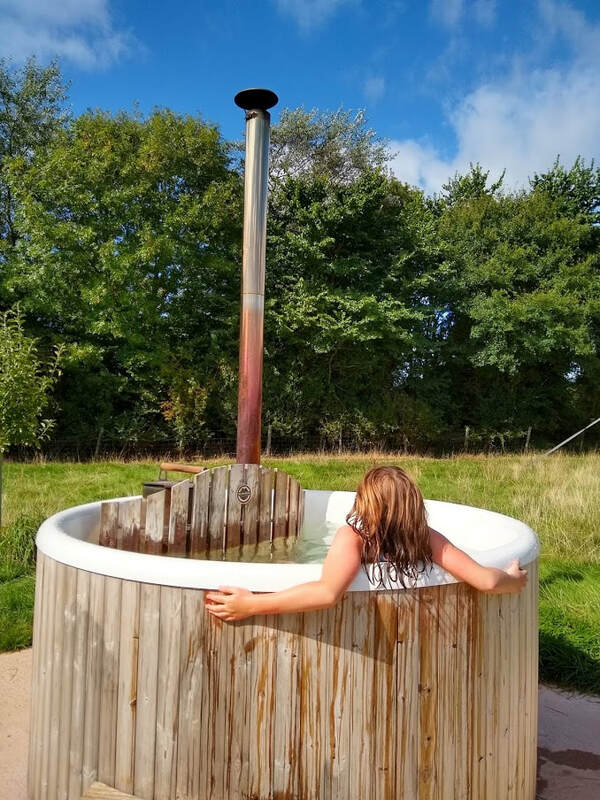 We will show you how to use the hot tub water heater when you get here, the water will be cold when you arrive unless you have asked us to heat it for you. 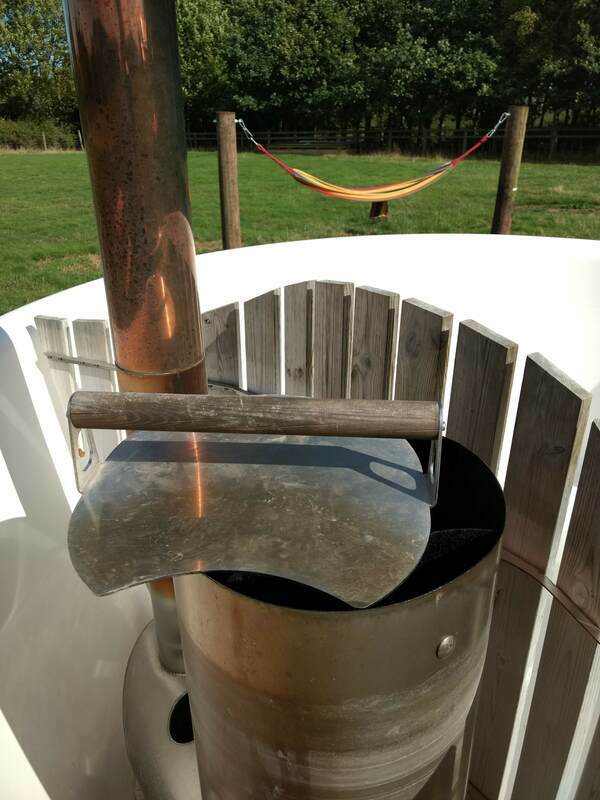 There is a bit of work firing the hot tub up but if you like making fire, it's fun and all part of the glamping experience! There is no on-switch, the hot tub water is heated by burning logs in the metal stove inside the tub, the hot metal then heats your water. 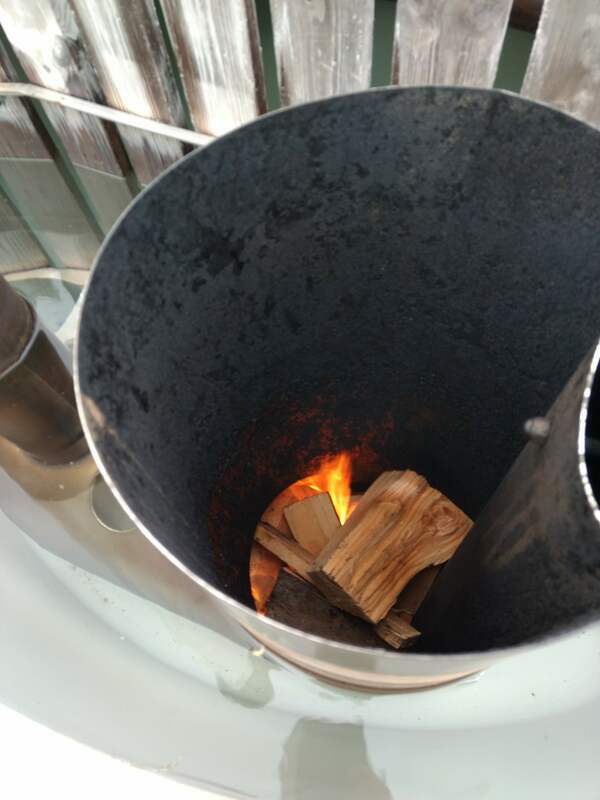 The firewood for heating the water are included in the hot tub hire price. 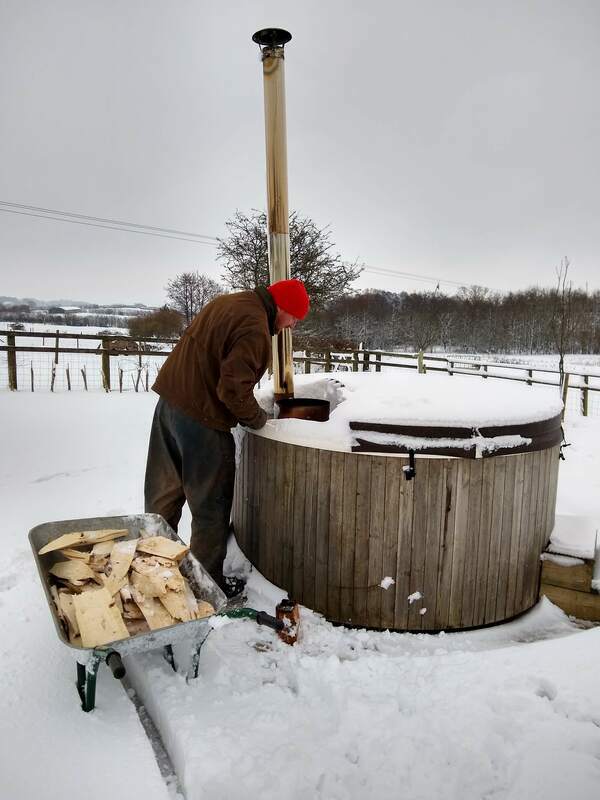 Once the hot tub is lit add logs to the fire regularly - every 15 minutes or so to keep the fire blazing and piping hot until the water is hot. We'll show you how at check in and we're usually around if you want a hand. 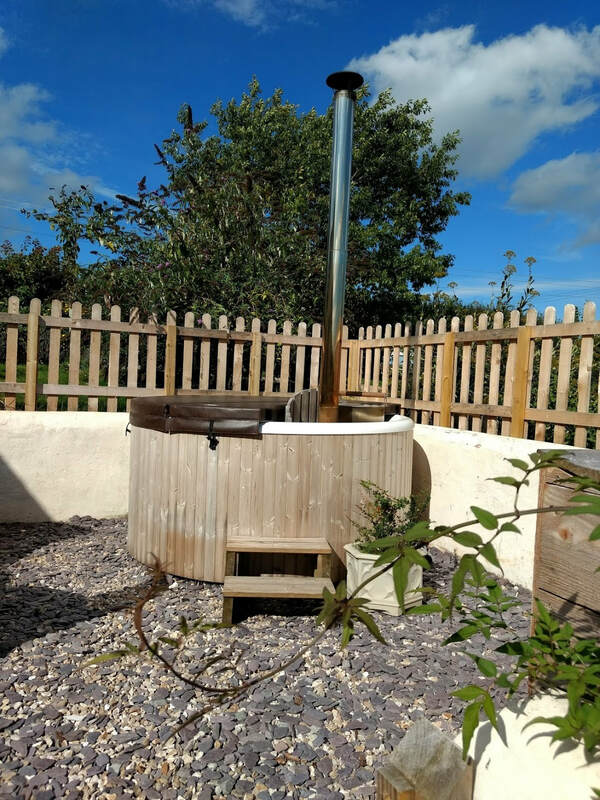 The Stable Cottage and Deckhouse Cabin hot tubs heat up fastest as they have insulated covers which reduces the heating time - these ones take around 3 hours to heat in the summer and 5-6 hours to heat up in the winter. The water will stay warm for the next day when you put the cover on after you've used it so it should only take you an hour or so the following day to get it hot again. ​The hot tubs for the safari lodges take a bit longer to heat up, around 4-5 hrs initially but less time on subsequent uses. The firewood for the hot tubs is provided by us and will be ready in your wood store when you arrive. The hot tub water comes from our private spring and is changed between every set of guests. The fiberglass interior of the tubs are thoroughly cleaned between guests with chlorine added for sanitation. 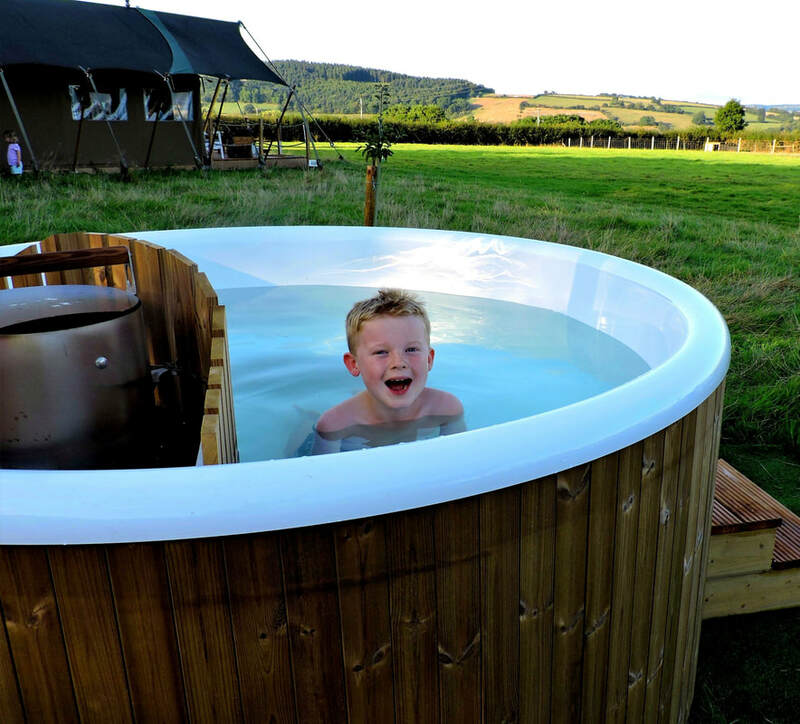 Hot Tub Prices: All our hot tubs are an optional extra, they are not included in the accommodation rental price. 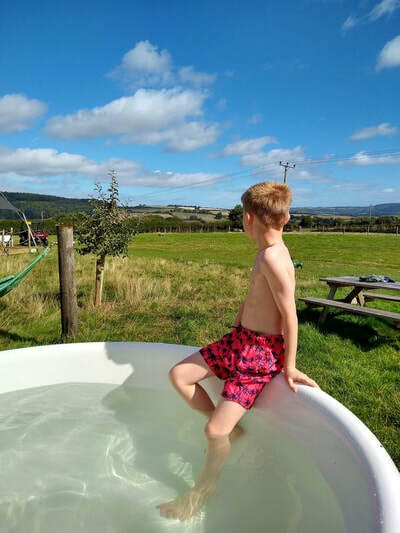 The hire cost of a private hot tub is £60 for a 2- 4 night stay and £100 if you are staying for 5-7 days. If you would like to hire a hot tub for your stay, just select it as an extra when you make your booking. 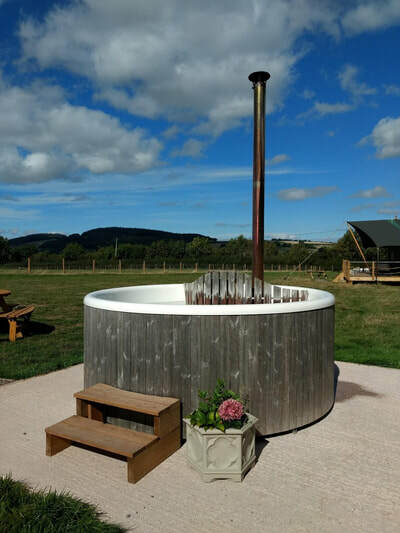 Hot Tub Pre -Heat: ​If you are staying between November - March in The Deckhouse or The Stable Cottage we offer a pre-heat service where we heat the hot tub water for you so it's ready to get in when you arrive. There is a £35 charge for this. 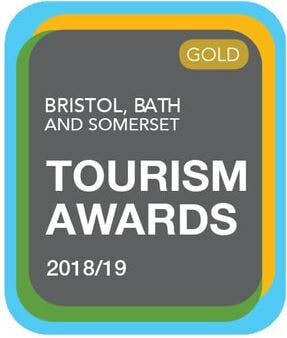 To book a pre heat please select it on the booking form when you make your reservation. A pre heat for the Cottage and Deckhouse is occasionally available in the early summer months too (outside the school holidays) depending on how busy we are. If you want a pre heated tub for the Cottage or Deckhouse in May, June, July, September or October please write it on the booking notes and we'll let you know a couple of days before arrival if it's possible. We can rarely pre heat the tubs for the safari lodges. Special offer: If you are a couple staying in a safari lodge for a 3-4 night midweek stay outside of the school holidays we will give you a complimentary hot tub for the duration of your time here if your stay is in April, May, June, September and October.